Bonaventure Tuxedo is a traditional brick-and-mortar store and has been a family owned and operated business for over 35 years, and prides itself on serving Roslyn Heights for tuxedo rentals and the surrounding areas of Nassau County New York. If you need to rent a designer quality tuxedo or suit in Roslyn Heights New York look no further than Bonaventure Tuxedo. We provide tuxedo rentals for any occasion made with the finest quality fabrics and with a guaranteed superb fit. We also do professional tailoring in store resulting in precise tuxedo measurements and a custom look and feel. Our suits and tuxedos come in classic and slim cuts so you can get the fit you want, and look the best for your special event. Get your Roslyn Heights tuxedo rental today from our fine collection of men's tuxedos and formalwear for weddings, proms, corporate events, religious affairs, college formals, and special occasions. At Bonaventure Tuxedo, we pride ourselves on going above and beyond for your entire black tie occasion. 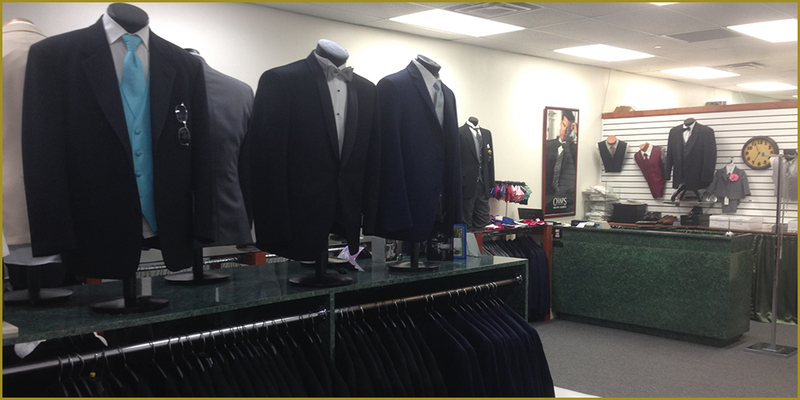 We are Long Island's leading name in Tuxedo Rental and custom suits sales and rentals. Look good and feel GREAT at Bonaventure Tuxedo call 516.741.1080 for an appointment where we can outfit an entire wedding party making it a stress free and enjoyable experience.